Raw photo taken by Russell Reynolds from Lima, OH. 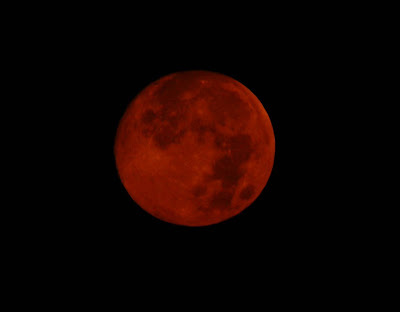 The moon was bright red early this morning as it fell lower in the sky. It had to "cut" thru more of the lower atmosphere which contains a lot of smoke from wildfires in Idaho, Montana, and Wyoming. Perfect winds and clear skies allowed for a rare sight. Another foggy morning, especially South of Columbus with some dense fog setting up. We will see mostly sunny skies for the afternoon today with highs back in the mid 80's. Wednesday into Thursday we will see scattered showers and storms, but temps stay in the mid 80's clear thru the weekend. Just warm enough for the pool, but not too chilly and not too oppressively hot. Gotta get ready for my shows to start. Have a good one!